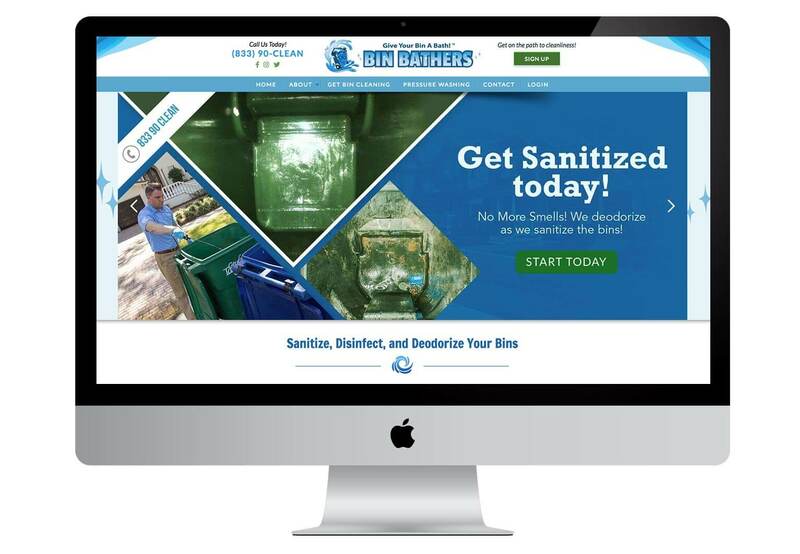 Bin Bathers is the fourth bin cleaning website that we’ve done. They are a company that will take your bins, have them washed, sanitized, and smelling fresh on garbage day. Some of our others include binsbeclean.com, cleansemybins.com, and scrubadubbincleaning.com. Each new project in this industry forces us to try new design styles that differentiate from the others we’ve done. Bin Bathers has a header with a water motif coming from the sides. There are some interesting water backgrounds to break up the page. Bin cleaning websites generally are cartoony and fun. This is the first website to have an integrated store with products that are a subscription service. When clients book to have their bins cleaned, they are billed according to the plans. This could be either annually, monthly, or pay as you go. This is all via WooCommerce / WordPress. Our latest theme update has a product slider. This allows for all the products to be visible in a smaller space.The products can be placed on pages, dropdowns, or popups without disrupting the layout. Also site has a chat feature. The website overall is very visual, colorful, and fun.